for $399,900 with 4 bedrooms and 3 full baths, 1 half bath. 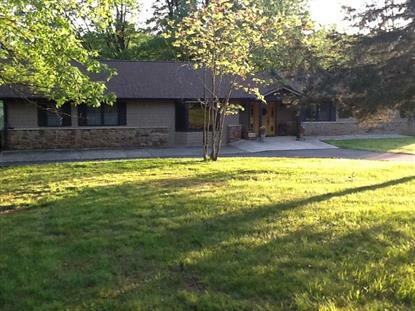 This 3,024 square foot home was built in 1964 on a lot size of 21,980. Welcome home to this Lake Lasalle beauty!! This ranch home with walkout basement has the best view on the lake featuring 3 docks, 2 decks, on a beautiful rolling lot. Down to the studs remodel in 2008 added new front entry way, sliding doors on rear, main floor laundry, 1/2 bath, Huge master with great view of the lake. Kitchen with granite counters opens to hearth with fireplace and another great view of the lake. 2nd kitchen in basement with spacious family room and walkout to patio. All new windows, newer roof, recent paint.